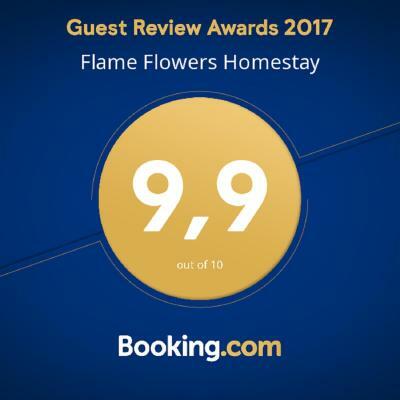 Lock in a great price for Flame Flowers Homestay – rated 9.9 by recent guests! The best thing in this homestay is the owner,He taking care like we are his member family.Room is so perfect!!! Trust me it more than good as you expect.Free bicycle. Free guide because staff will give you all info you should know. 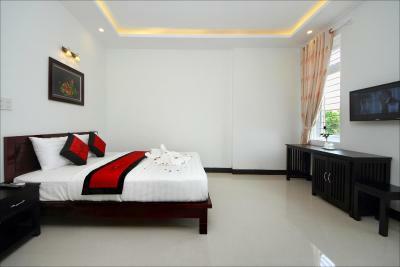 I like every thing, room very large and very clean, the staff seem like an owner's family and very good taking care us. They very good English speaking. Reasonable price. Hope to be back again. 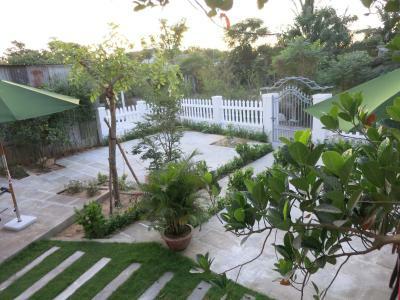 This is an excellent place to stay in Hoi An. 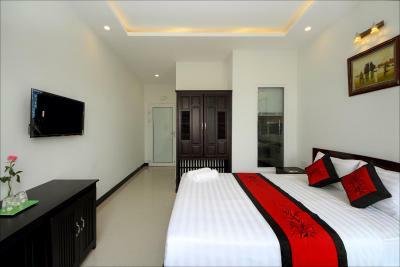 The rooms are so nice - spacious, sparkling clean, well appointed with good lighting, bedside tables and plenty of storage, nice attention to detail. 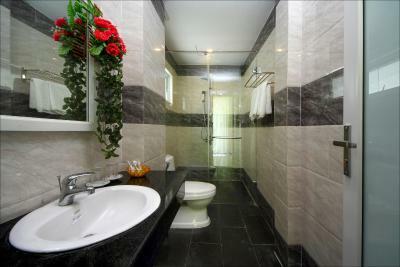 The bathroom is large and modern with a great shower. 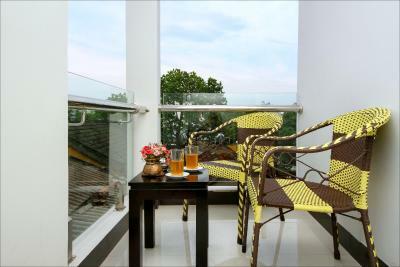 We stayed on the second floor and had a pleasant little balcony overlooking the garden area below. The breakfast was delicious. 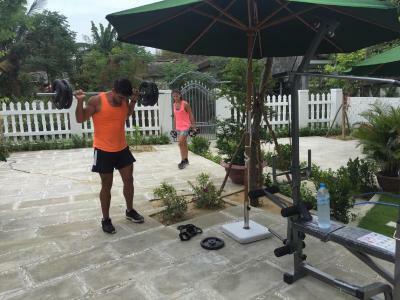 Location is great, a short distance from the busy old town and well situated for bike rides through the rice fields and to the beach, and close to good dining options. To top it off the owners/family are wonderful, friendly, caring people. Couldn't have asked for more. What’s not to like? The room was spacious, the bed was comfortable, the bathroom was awesome. In particular we were impressed by the acoustic seals on the doors - our room was always quiet despite typical neighborhood noises. The family that runs Flame Flowers is super friendly and very helpful! They kept treating us to fresh fruit, sweets, etc. They helped us book bus tickets for onward travel, rented scooters, and gave recommendations for things like tours and services like tailors, etc. 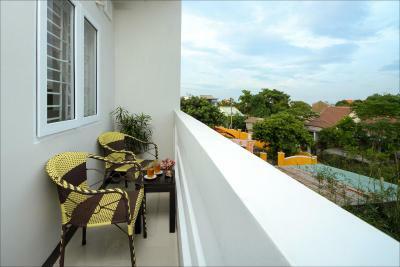 The location is a nice balance between Old Town and the beach. It’s an easy walk to Old Town and a straightforward bicycle ride to the beach. 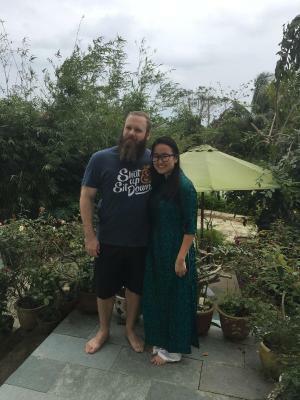 We loved staying there - you should definitely check them out! The family was more than nice and kind to every guests. My room was downstair and super quiet. The location is 10 minutes walking away to the old town and actually quite nice because it gives a distance to all the noises. I would defenitely stay with them again. The staff are very very very friendly, they help me with a tickets problems i had, spending their time, they even going with me to the ticket office to help me , as anyone there talked English, they arrange me a taxi from airport to a very good price vs others alternatives. I travel a lot and its not usual have so friendly staff helping you, they give you a lot of advises to enjoy your days in the town too. Really recommended, facilities are great and very clean. it was quiet yet close to the old town. They have nice bikes you can use to go out to the beach. The staff was extra helpful. We were picked up at the Danang train station so made it easy to get there. We were there thru Christmas and they prepared a wonderful dish for us tto eat . The staffs are so friendly and helpful!! Thank you! One of our best sellers in Hoi An! 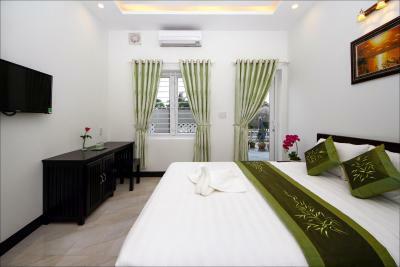 Flame Flowers Homestay is located in Hoi An Ancient Town and offers spacious accommodations with air conditioning. 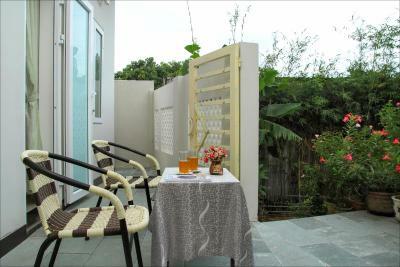 Guests can enjoy free WiFi access in entire property. 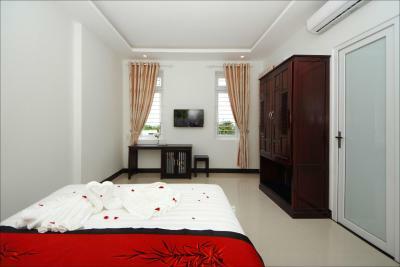 All elegantly furnished rooms feature tiled flooring and a TV. Private bathroom comes with shower, sink and free toiletries. 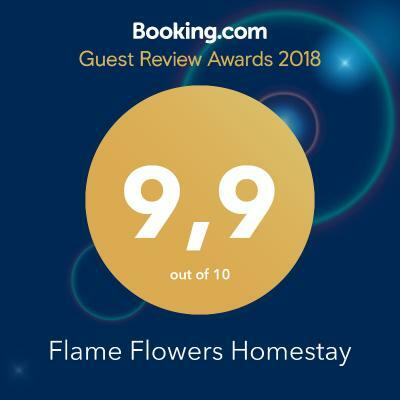 Flame Flowers Homestay operates a tour desk and 24-hour reception where staff can assist you with currency exchange, ticketing and airport transfer. Other facilities include a garden and ironing facilities. 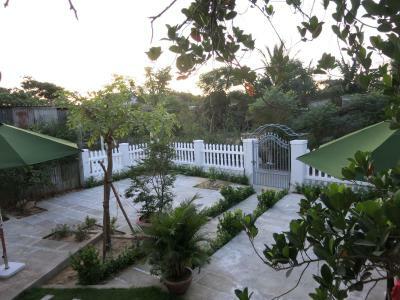 This affordable homestay is 1,650 feet from Hoi An Historic Museum and 1.7 mi from An Bang Beach. Danang International Airport is 14 mi away. 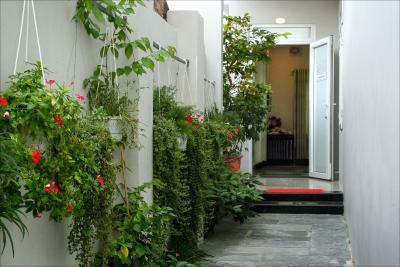 When would you like to stay at Flame Flowers Homestay? 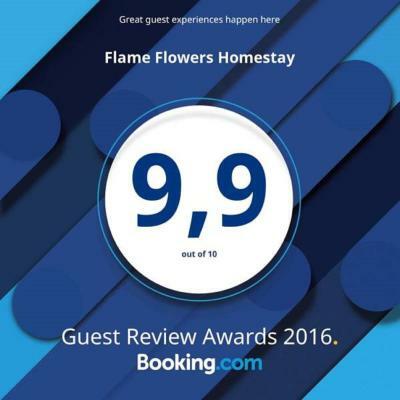 House Rules Flame Flowers Homestay takes special requests – add in the next step! One child under 12 years is charged VND 5 per night when using existing beds. 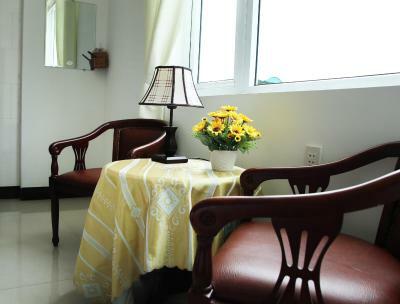 Any additional older children or adults are charged VND 8 per night for extra beds. Guests need be quiet between 6:00 PM and 7:00 AM. Please note that the property is located on high ground and is unaffected by annual floods. 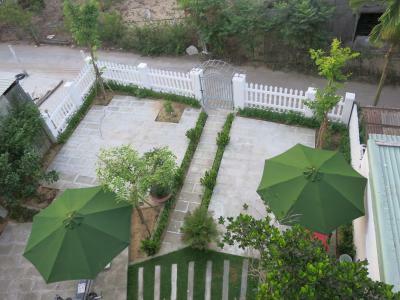 Guests can go to the address 37 Ton Duc Thang Street to follow the sign and instructions to reach Flame Flowers Homestay. The staff and family were superb. Nothing was too much trouble. The breakfast was great. All requests met with answers and a smile. Cannot recommend this homestay highly enough. If I come back to hoi an i will stay there. The location is superb. 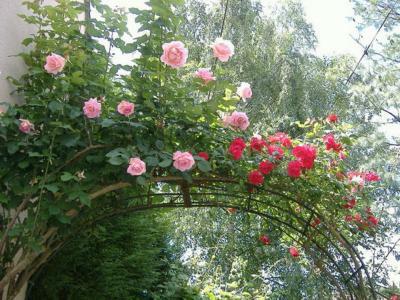 A walk to the old town and around the homestay are lovely bars cafes and restaurants. Nothing. I could not find it. Nothing. The price when compared with others in same area. The hosts. Such lovely people. The cycle to the beach on the bikes. The shower. The bed. This family is so hospitable, they organized me everything I needed. They welcomed me straight write drink and fruits. The rooms are very quiete I couldn’t sleep better anywhere else. You have everything there you need and it’s close to the old town. I also loved the breakfast. I would definitely come again ! The owner and his family were so friendly, helpful and generous. 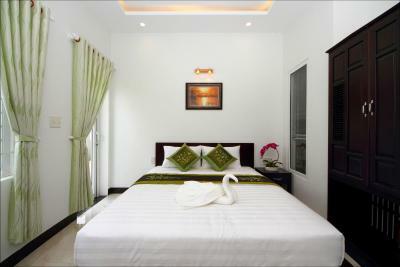 Staying at flame flowers was an amazing experience that everyone visiting Hoi An should have. They booked all of my tours and provided me with excellent recommendations for food, tailors and sites nearby. The room was clean and comfortable. It was only a short walk to the old town and they have bikes you can borrow as well! 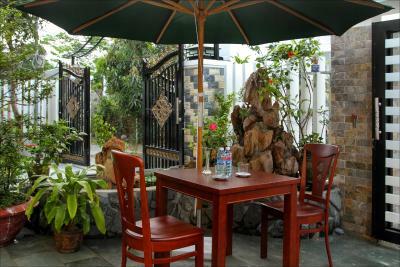 Flame flowers is a one of a kind place and definitely worth a stay while in Hoi An. Hoa was extremely helpful from the time I made the booking. I had a few date changes and he very accommodating and easy to communicate with on Whatsapp. His english is excellent! When we arrived late in the evening he was waiting up for us and had cakes and watermelon ready for us which was a real treat. The room is clean and modern. Bathroom facilities are excellent. AC is great and there is even a nice balcony from the room. The location is excellent and only a short 5 minute bike ride into Old Town and there are free bikes for you to borrow during your stay. Biking around town and especially in the evening was very special with the lights and lanterns. 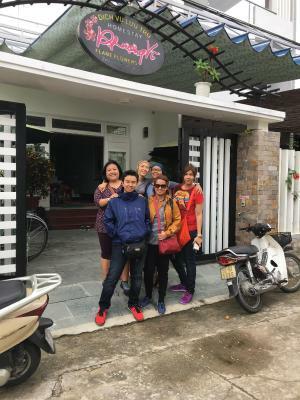 Throughout our trip Hoa also helped us book tours and arrange transportation and was always make sure we were having the best time and getting the best deals. His sister's are also around during the day when he is at work and helped answer any questions we had and also helped us choose some local fruits to try. We took a sunrise tour to My Son and he was thoughtful enough to have some cake and water ready for us. We felt right at home and very well taken care of. 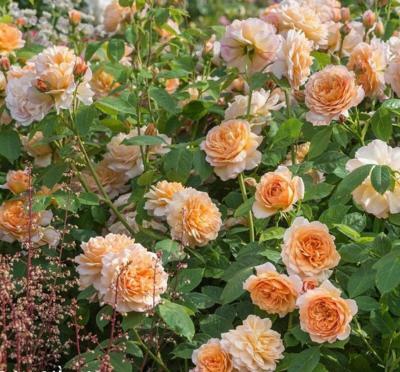 They are a wonderfully friendly and hospitable family and we cannot thank them enough. Overall it was an excellent stay and we would not hesitate for a second to recommend this to family and friends, or stay here again on our next trip! The hosts were amazing - As soon as we arrived they welcomed us and helped us plan our sight-seeing. The location is centric, but not in the middle of the fuzz, which we appreciated: it was exactly what we were looking for. The room was also really good: clean, spacious and comfy. 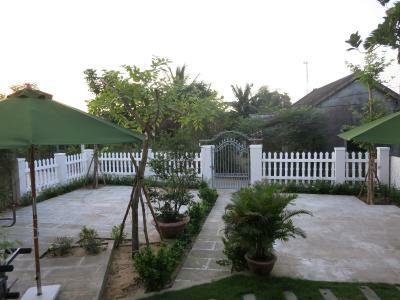 We would stay here again if we were ever to visit Hoi An again. 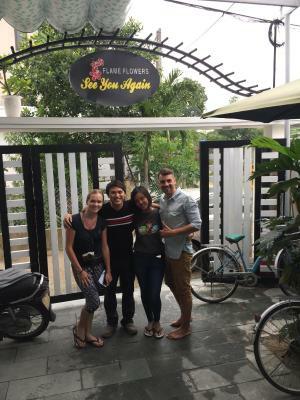 Great stay - got a bit of food poisoning in Hoi An and was really looked after!